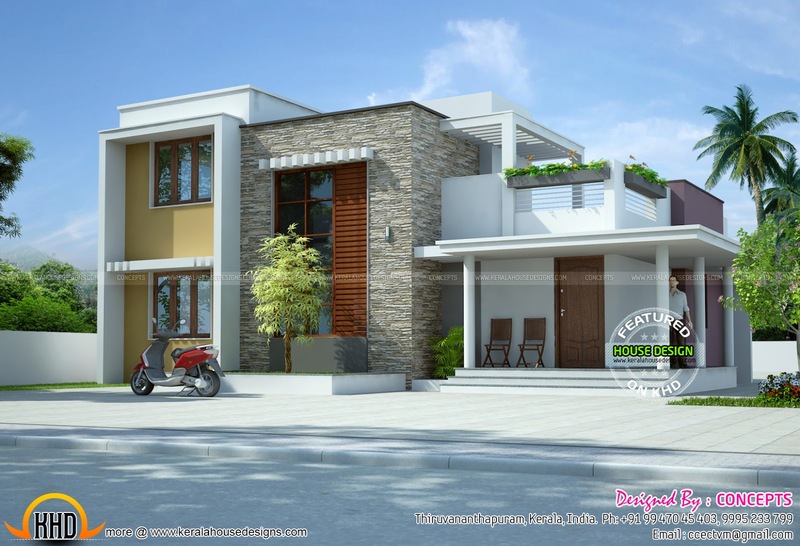 Contemporary style house in 3 different variations. Total area of this 3 bedroom house is 1803 Square Feet (167 Square Meter) (200 Square Yards). Designed by Concepts, Consolidated Engineering Consortium, Trivandrum, Kerala. Ground floor - 1453 Sq.Ft. First floor - 350 Sq.Ft. Total area - 1803 Sq.Ft.